“I’m not sure, Sir. Perhaps he was captured?” Holmstrom’s aide, Lieutenant Erik Jansson, responded. Holmstrom frowned. He doubted that Ivarson, a veteran soldier and sailor, would rather be captured than downed fighting. He looked down again at the map, assessing the figurines that represented their troops. “Captain Stendahl is dead, at the hands of the Lenfels and Outlaws. And so are many of his warriors, and many of mine.” A new voice rose from the beach, and in the dim light Holmstrom saw a dark outline. As the man neared, realization dawned on Holmstrom’s face. “All in good time, my old friend. First, we need to figure out how to rescue our men captured on Fýrdraca, they are mostly Loreesi," he said, throwing a scornful look at the Loreesi present in the room. "We'd best strike at first light, but we may need more troops. We took quite the beating,” He looked meaningfully at the other leaders, those whose plans did not work in the previous battle. “Certainly,” Jansson replied, with Alejandro nodding in agreement. "It’s settled then, Jansson and Alejandro will lead a diversion, while myself, Ivarson, and Captain Salazar lead the rest of the fleet. We'll spread out along the coast, so they can't stop us all. We'll need to be careful in the jungles. They're used to this combat, and we're not,” Holmstrom decided. He looked towards the corner, where a dark-haired Garhim warrior sat. “Oh, and Lord Silver, You have the most important task of all. I want you to stay here. Wait for our reinforcements, and as soon as they arrive, lead them to Fyrdraca.” He nodded at the Goði in acknowledgement, who continued "Remember gentlemen, our mission here is to rescue the prisoners and get out. We are not at war... yet. We rescue our men, withdraw then I will return to Roawia to seek advice from the King and Jarl." The council departed, rushing to the horses to move out. “Gentlemen, we have our orders.” Jansson declared, looking out over the ranks of Garhim and Loreesi soldiers, eager to avenge their fallen brethren. “We move out at first light, Rescue your brothers. Leave no man behind!” The cheer was taken up by the ranks of soldiers, growing deeper, like some feral lion’s roar. The chant grew so loud Jansson was sure the Lenfels could hear it on Fýrdraca. The soldier shifted uncomfortably at his post, beads of sweat dripping slowly down his back. Blasted island. What are we still doing here anyway? We avenged the explorers and held the island. Killed the great Mark of Falworth as well, by some accounts. There’ll be a few graybeards in Lenfald who will rejoice to hear that. He closed his eyes, but the outline of sea and sky still floated before him, etched into his eyelids by the tropic sun. He forced them open again, squinting. This time the burning horizon was subtly different, white points of light on the sea... His eyes widened. “They just don’t learn, do they?” said Hans Zarkan, leader of the Emerald Wolves mercenary company. “We’re not going to throw away my investment,” growled Zarkan. The first battle for Fýrdraca has been a bloody, pyrrhic victory for the Lenfel/Outlaw alliance who now find themselves regrouping in the ruins, burying the dead and struggling to feed both the remains of their army and the Loreesi and Garheim captives. With Prince Mark Lorean missing, presumed dead - the remains of the combined Roawian forces have withdrawn under Garheim leadership to Andarheim. Hakon Ivarson hastily regroups and replenishes the Roawian force. The composition of the force has changed. The initial expeditionary force was mainly a Loreesi affair - now with the heavy casualties taken in battle, and regrouping in Garheim territory under Garheim leadership, the force is more blue than red. 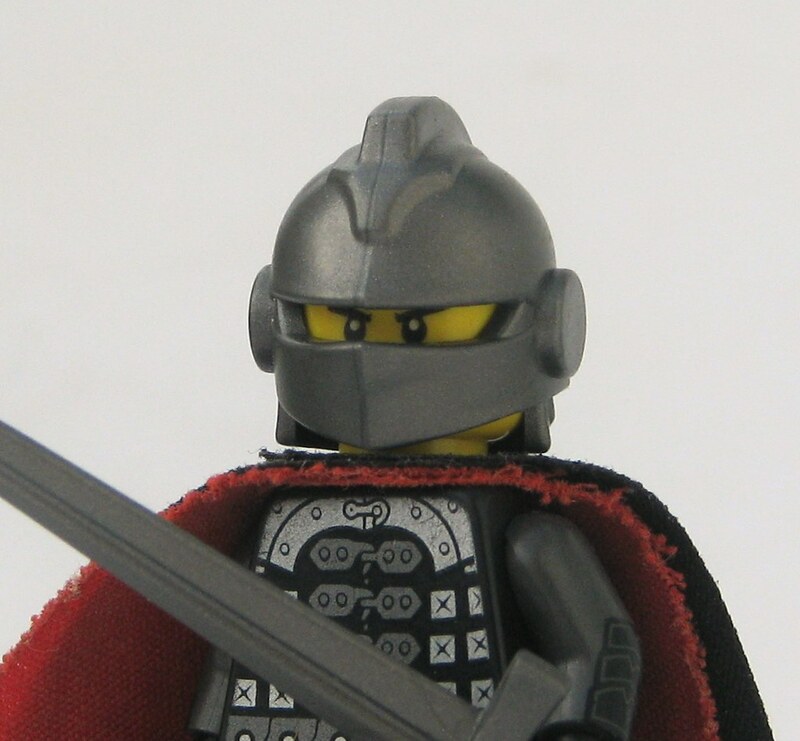 In Ivarson's mind, Loreos had their chance - Now, when the enemy is least expecting it, he will lead his new force back to Fýrdraca, take the ruins, free the captives and reclaim Roawian honour. The Garheim battle cry - "Leave no man behind!" Thus the battle lines have been drawn in the New World - Prepare for the second battle of Fýrdraca in which Garheim and Loreos will once again face off against Lenfald and the Outlaws - this time, the stakes for the colonies are high! - You may submit one entry in each of the sizes above. Your entries may depict scenes from any of 4 categories. 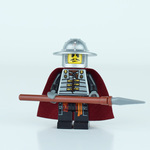 You may also submit an entry in the bonus 'All Lego' category. 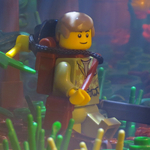 For example, I could submit a bignette in category 1 - Run through the Jungle, a restricted in category 2 - Defend the camp/rescue the prisoners, an unrestricted in Category 3 - Battle in the ruins and an entry in category 5 - All Lego Scene. 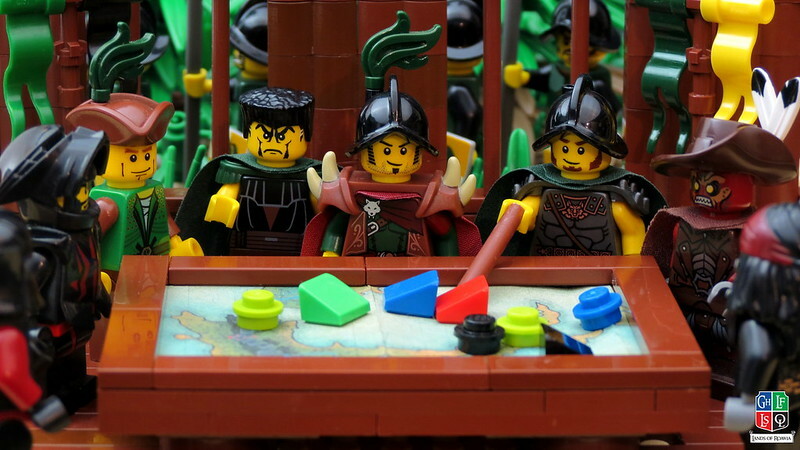 Alternatively I could submit a bignette and restricted in Category 4 - The industrious motherland, an unrestricted in category 2 - Defend the camp/rescue the prisoners and an entry in category 5 - All Lego scene. Make sense? If not ask below! - Your entries should clearly state which category and size you are entering. - Your main or secondary character should be depicted in your scenes. 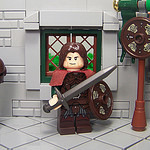 - Each build MUST contain either the LoR digital banner (if you are having issues PM me and I will help/add it for you) or your faction banner in either digital or Lego/or both. We will be strict on this point for this GC. Entries without banners will be disqualified until they are fixed. This is where it gets interesting - and complicated. - Scoring for individual factions will be calculated as per normal. - The Loreesi and Garhim scores will be added together to calculate the score for the Combined Roawian Forces. - Similarly, the Lenfel and Outlaw scores will be added together to calculate the score for the Free Forces of Roawia. The team that scores the greater number of points will be declared the winner of the Fýrdraca campaign and will hold the ruins and southern peninsula of Fýrdraca. 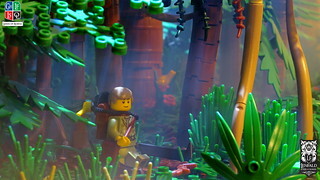 The winning team will discover an additional stash of gold within the ruins that was overlooked in the initial search. The gold will be divided equally between the two winning factions (for storyline purposes only). Factions will then have the following options. Option Three. Both factions claim an additional 30 Global points and both Andarheim and Port Valiant will increase in size by two levels (without the normal additional points added for each level). Yeah! Great writing, guys! Unfortunately, the categories for my plans don't mix with the Summer Joust, but with all next month free I hope to anyhow get three (or four) entries in! Also, this effect part is what we've been waiting for for ages! So awesome, time for the Outlaws to shine... and to get that stash of gold . Great work! Some good storylines that is neutral to all factions and hopefully the competitive side will encourage participation. I hope to enter a minimum of two categories. One small point - remind me, have natives been discovered in the GWI yet? There have been ruins discovered, but no natives, is that the canon version of events? As of yet, we have discovered ruins that imply there were once natives living on the island, but no actual natives yet. So it says for the Restricted entries 20x20 to 32x32. And for Unrestricted 48x48 minimum. Can I not build between 32x32 and 48x48? If so where would it go? Can I not build between 32x32 and 48x48? If so where would it go? The thought behind this is to prevent people building a 34x34 build and calling it unrestricted. Some of the original builders (AK_Brickster, Sir Caelan Munro, thedonald13 etc) may correct me if I am wrong, but my impression was that the unrestricted category was always the category meant for the really big, all out impressive builds. Hence the value of 5 points compared to 3 for a restricted. 48x48 minimum always used to be the rule for GC, but it has been relaxed a bit of late. However, if enough people feel we need to review the way we define the categories, we can always do so. The thought behind this is to prevent people building a 34x34 build and calling it unrestricted. Some of the original builders (AK_Brickster , Sir Caelan Munro , thedonald13 etc) may correct me if I am wrong, but my impression was that the unrestricted category was always the category meant for the really big, all out impressive builds. Hence the value of 5 points compared to 3 for a restricted. 48x48 minimum always used to be the rule for GC, but it has been relaxed a bit of late. But for example an idea I'm thinking of now. 32x32 would be a bit small in my mind, but 48x48 I probably won't have the pieces for. If I feel a size in between fits the build better. Can I enter it into Restricted? I won't gain anything RP wise by making it bigger. I'm thinking around 40x40? That's a good point. Setting the Unrestricted to a 48x48 minimum is good in theory, but the flip side of that coin is that it discourages those with smaller collections from even making the attempt. I know I rarely enter the Unrestricted - I maybe have entered four or five times total in the few years I've been here; it's only when the category is relaxed a bit that I even feel the opportunity to build for it. I can always enter the smaller categories, but they don't earn anywhere near as many points when one unrestricted equals a bignette and a restricted.